B Lillian Link was born in 1880 and spent most of her life in Massachusetts. She was a talented American sculptress who was active in the early 1900s. She exhibited at the National Academy of Design, the Pennsylvania Academy, and the Art Institute of Chicago. She specialized in children and animal figures and did a few with young children such as our bronze of the Child Dancing. 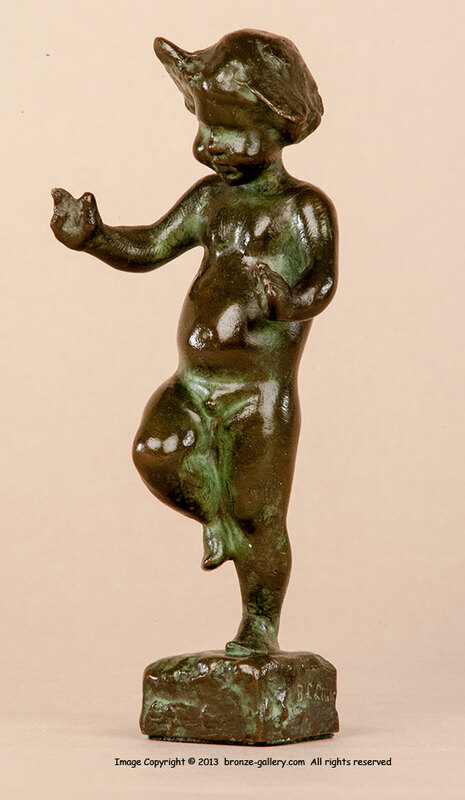 This bronze is cast by the Roman Bronze Works foundry and has a rich green and brown patina. It is a charming model which shows the innocence of childhood as the little boy is happily dancing.